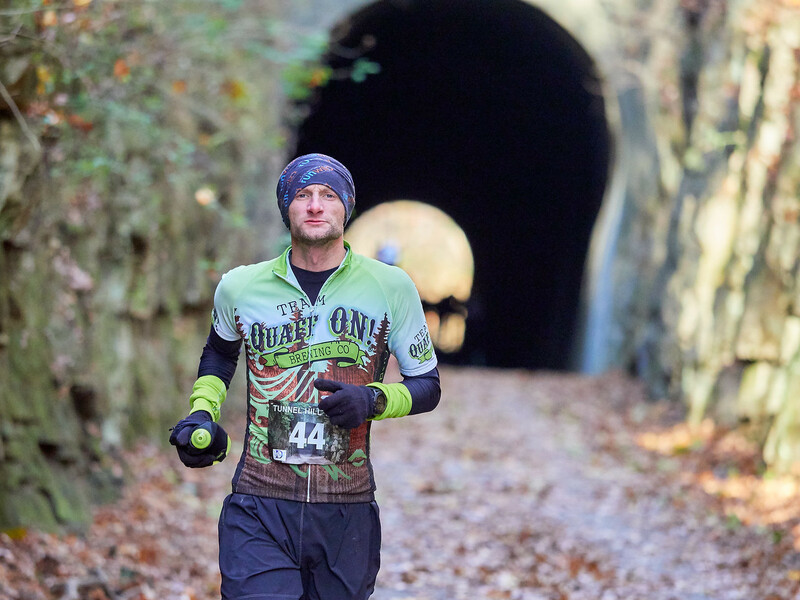 PM Double Race Series at Beck's Mill (Salem, IN ?). 5k TH first, 10k TH second, an hour later. Huge hill at start and some rolling going on on both courses (different out and backs) 100 ft. of gain on first half mile andthen rolling. TH effort on 5k - 18:30 ish, and 10k - 37:00 ish. Good final tune up for Marathons and a big fall schedule. Yikes - hurting left leg. gym time - elliptical 10 min. and lots of rolling and stretching. Lunch time run over to gym, TM run 4x0.5mi.HMP, 2x0.25mi. MP, foam rolling and stretching and then jog back to office. playin it safe after thinking I had injured myself Sunday. Off - This left leg groin/quad (ITB) thing is worrying me. Mill Race Marathon - 7:30am start starting downtown Columbus, IN (my hometown). I have struggled with this race every year, so, this year (about 1 month ago), I ran the course with most of it at goal race pace (intended to do about 18 @MP). Turned out to be a good morning that morning and I easily ran it in decent time for me - 2:52 for full 26.2. Today, the weather again felt like a decent temperature, but, a deceptive humidity, and ever present 15 mph gust seemed to plague me at every turn. Another bad day for this race for me. A couple of the QuaffON guys were even pacing and breaking wind for the first 10k. 6:20's were easy enough while they broke the wind in front of me. As soon as they split off, and the course made a turn shortly after 10k, a head wind smacked me in the face. About a half mile of that, and my effort level was noticeably out of MP range. Dumbly/stubbornly, I pressed on trying to maintain target pace. I quickly paid the price for my mistake as I tried to take in the first gel- Stomach issues from mile 11 on. I hovered around 7 min. for a while. started really dropping in to some 7:30's-8:00 in last 10k. Scared some poor little girl at mile 22-23 aid station. Tried to drink water and barked/puked in my mouth. 3:04:19 for a GPS 26.6 miles. My final excuse - the course was long, too. Tough day. Strange that I have never done well on actual race day for this race.